Discussion: Propolis acts as a natural hygienic within the beehive, fighting bacteria and infections to create one of the most sterile environments in the animal kingdom. Use only as directed. May be used externally or internally. For internal use, take 2-3 servings per day as needed. 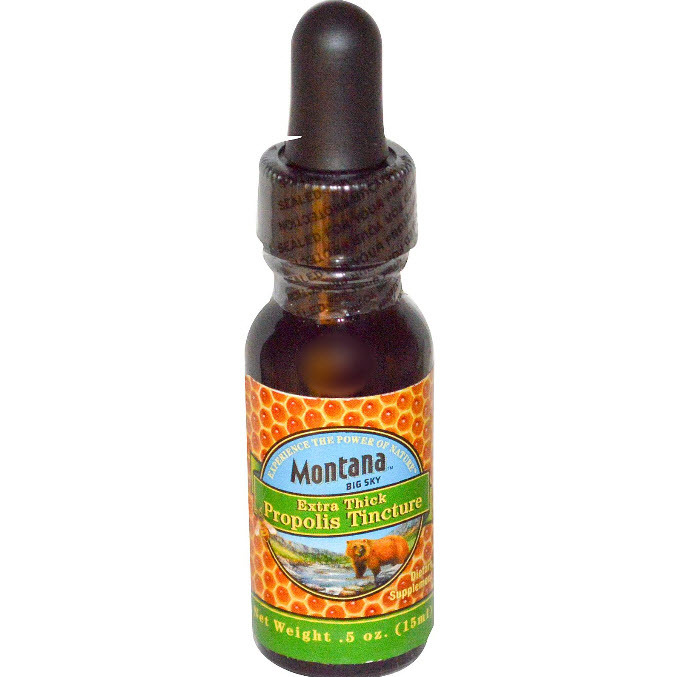 65% pure raw propolis, by weight, in a food-grade alcohol base. Do not use if safety seal is broken or missing. Keep out of the reach of children. Keep your licensed health care practitioner informed when using this product. Bee products may cause an allergic reaction in some people.